It’s almost Friday you all…. and do I have a great challenge for you! Not just one piece of ribbon….we want to see more than one color ribbon! more and that’s when I added the double bow. The Butterfly is from Inkadinkado. I ran the orange paper through my Cuttlebug and then sanded the flowers. That Picot dies is from Spellbinders. The Dp is MMI…I do believe! and some bling to finish it off! Also, while your over there….say hello to our newest design team member Colleen! We are so glad she joined us!!! I used this great sketch over at The Paper Players to get my mojo flowing! Categories: Cards | Tags: Card making, Cards, Cricut, Happy Birthday, rubber stamps, sketch challenge | Permalink. Beautiful! 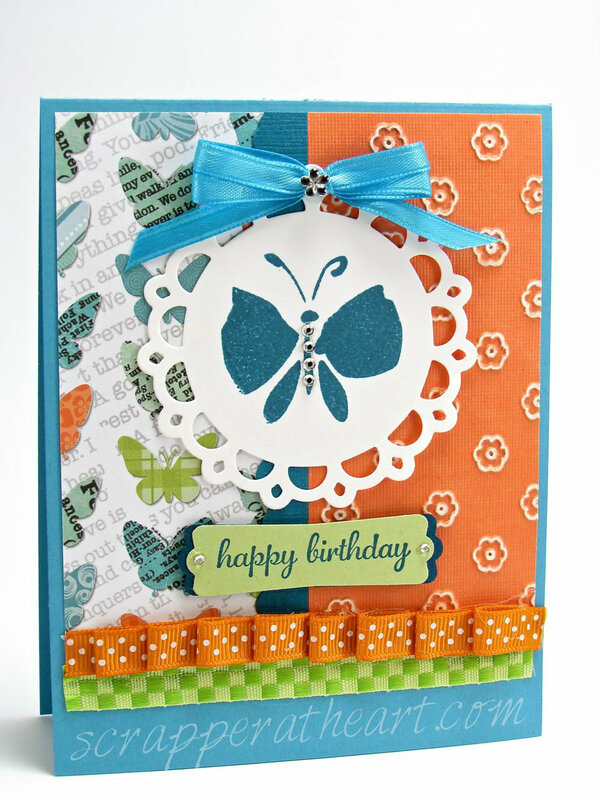 Love the butterflies and embossing! Another fabulous birthday creation! Very pretty and you used 3 ribbons. Wow. Great take on the sketch. This is just beautiful Nancy! I love the colors. Have a good weekend! 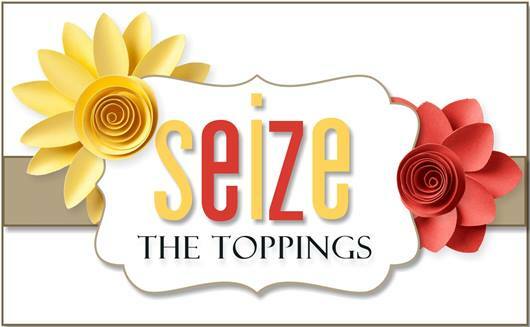 I love how bright and cheery your creation is Nancy! Using the three different textures of ribbon was a fabulous idea. Lovely! All the ribbons and the beautiful papers make this a stunning creation! 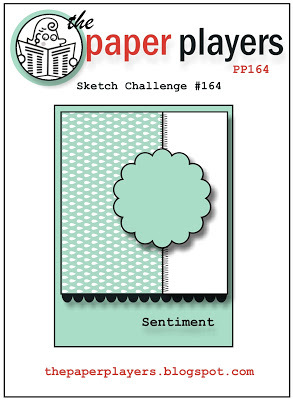 Thanks for playing with the Paper Players sketch too! An adorable card, Nancy! I love, love, love the paper you selected. Fabulous texture…I LOVE those sanded flowers! Thanks for playing with The Paper Players! LOVE your background, Nancy and that Pretty butterfly! Fab ribbons, too!